A recent study has revealed that over 120 million Indian consumers are expected to shop online this year. 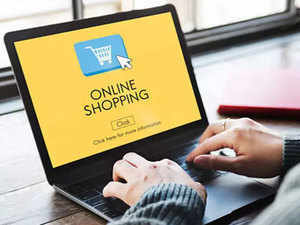 As per an ASSOCHAM-Resurgent joint study, online shopping is expected to clock annualised growth of 115 percent this year, aided by fast-increasing data consumption and improvement in logistics, along with a number of offers presented by e-commerceplatforms. In the previous year, the study noted that as many as 108 million consumers did online shopping, with mobile phones becoming the preferred choice of device for e-commerce sales. The frequency of purchase was higher for categories like apparels & accessories (54 percent), beauty and personal care (43 percent) products, in comparison to electronics (33 percent), it added. “Since the base is still quite low, there is a huge scope for growth year on year for quite some time. With an improvement in logistics and more and more delivery channels, the online shopping is bound to grow. No wonder, a huge amount of foreign investment is coming in the sector. It has become a multi-billion investment business. Investment in back-end delivery channels, brand building, consumer research and building trade partners would be the key drivers,” said ASSOCHAM Secretary General, D S Rawat. Online ticket buyers were also seen to be more comfortable with the use of debit cards (23 percent), credit card (17 percent) and cash on delivery (58 percent). For regular internet users – cash on delivery was the most preferred mode of payment (74 percent), followed by debit card (18 percent) and credit card (5 percent), the study noted. In terms of motivators to shop online, the consumers’ highlighted cash back guarantee as the number one benefit, ability to give cash on delivery, fast delivery, great deals and access to branded products. However, there were some drawbacks highlighted by shoppers the number one factor being the inability to touch and try the goods before purchase, along with the fear of faulty products, fear of posting their personal and financial details online and the inability to bargain. The study also highlighted a surge in the number of people shopping on smartphones across India with tier II and III cities displaying increased dominance.